NASHVILLE, Tenn. –** The Titans hosted their 3rd annual Taste of the Titans fundraiser Wednesday, May 16th at Nissan Stadium, raising $115,000 with proceeds split equally to benefit Big Brothers Big Sisters of Middle Tennessee and the Titans Foundation, which supports charities throughout the volunteer state. As guests arrived they were greeted by Titans QB Marcus Mariota, DT Jurrell Casey, T Jack Conklin, CB Adoree’ Jackson, C. Ben Jones, T Taylor Lewan, CB Logan Ryan, TE Delanie Walker, and LB Wesley Woodyard, all of whom signed autographs and posed for pictures.  Big Brothers Big Sisters has been making a positive difference in the lives of children and communities locally for more than 40 years, and across the country for more than 100 years. The Big Brothers Big Sisters Mission is providing children facing adversity with strong and enduring, professionally supported one-to-one relationships that change their lives for the better, forever with a vision of successfully mentoring relationships for all children who need and want them, contributing to brighter futures, better schools, and stronger communities for all. Nissan has been a supporter of Big Brothers Big Sisters of Middle Tennessee since 2006, as its North American headquarters was being established in Tennessee. Nissan has been the title sponsor of the nonprofit’s main benefit – the Franklin Wine Festival – for the past 12 years. The 2017 festival and silent auction raised more than $250,000, serving more than 160 children with a mentor. Big Loud Records breakout country artist Morgan Wallen provided an acoustic performance which included his top 10 hit Up Down (ft. Florida Georgia Line) and Had Me by Halftime and The Way I Talk and is scheduled to tour with Luke Bryan beginning this May. Wallen was born and raised in Sneedville, Tennessee which is a tiny two-stoplight town. Wallen began singing in his father’s church at 3 years hold and was writing songs by 18. “Anytime I can help the community and those who are less fortunate, I love that.” said Wallen. 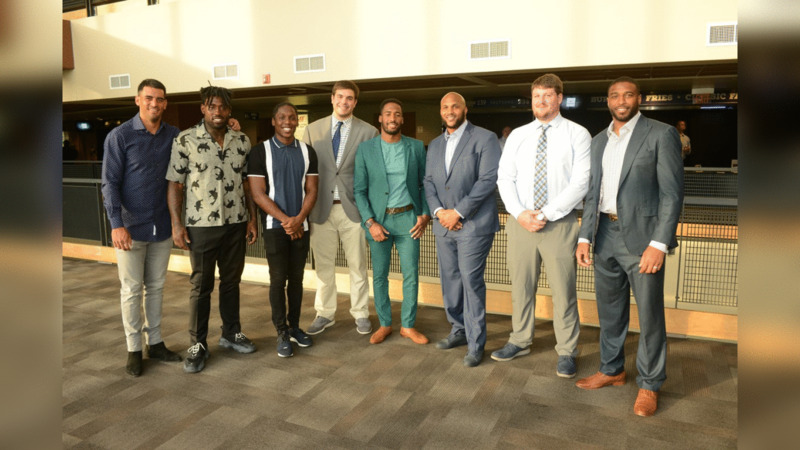 Voice of the Titans” Mike Keith emceed the evening and hosted a Q&A session with Titans General Manager Jon Robinson and Head Coach Mike Vrabel who answered guests’ questions about the upcoming season and the team’s new on-field synergy. “They look up to the Titans. We bring kids to a lot of Titans games and different events so they get to rub shoulders and when they get to hear a Corey Davis, Derrick Morgan or a Marcus Mariota speak, it lasts longer,” said Carroll. The evening was complete with fun activities including photos with Titans’ cheerleaders and T-Rac, viewing and photos with the Heisman Trophy, entertaining greenscreen photos, a silent auction teeming with all types of unique goodies all benefitting a good cause. Big Brothers Big Sisters’ mission is to provide children facing adversity with strong and enduring, professionally supported one-to-one relationships that change their lives for the better, forever. These improvements help children create better schools, safer neighborhoods, and make healthier choices. Big Brothers Big Sisters is a volunteer and donor driven organization that matches children in need with a positive adult role model. Revenue generated is used to conduct background checks and screening of prospective volunteers to ensure child safety, and provide ongoing professional support for children, families and volunteers to build and sustain long-lasting relationships. Big Brothers Big Sisters of Middle Tennessee serves children all across Middle Tennessee in Metro Nashville/Davidson county as well as Williamson, Rutherford, Cheatham, Dickson, Robertson, Sumner, and Wilson counties. You can help a child overcome adversity and better position themselves to reach their potential in Middle Tennessee by calling (615) 329-9191.